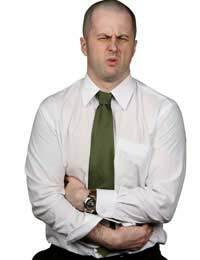 A peptic ulcer is the result of an open sore or lesion in the digestive tract. The ulcer can result in abdominal pain heartburn, indigestion, loss of appetite, weight loss, and internal bleeding. When treated effectively most ulcers can be cured with four weeks. Medical Treatment for Peptic UlcersThe most common medical choices of treatment for peptic ulcers depend on the actual cause of the ulcer. Most ulcers are a result of an infection with the H. pylori bacteria. If these bacteria are present the first course of treatment is aimed at ridding the body of infection. Most doctors will prescribe a course of antibiotics to eliminate the bacteria. To increase the effectiveness of the medication some doctors will prescribe a multiple medication treatment that works to eliminate bacteria and reduce stomach acid production. If the original cause of the ulcer is medication induced a different course of treatment is called for. Some individuals develop ulcers while taking anti-inflammatory medications. These medications- usually in the nonsteroidal anti-inflammatory class of drugs- can damage the lining of the stomach after long-term use and make the lining more susceptible to inflammation. Aspirin, ibuprofen, and naproxen are good examples of these medications. If you are currently taking one of these medications your doctor may change your prescription or prescribe a lower dose in order to treat your ulcer. If a medication change is not feasible, your doctor may prescribe an additional medication, such as a prostaglandin analog or proton pump inhibitor, to reduce the production of stomach acid. If the ulcer does not respond to traditional treatment, or if the ulcer worsens and begins to eat through the lining of the stomach, surgical treatment may be necessary. This treatment is also used for bleeding ulcers or ulcers that may be cancerous. The two most common types of surgical treatment for ulcers are a vagotomy and a partial gastrectomy. During a vagotomy procedure the vagus nerve, which is responsible for controlling the production of acid in the stomach, is cut. This treatment will inhibit acid production and allow the ulcer and the inflammation in the stomach's lining to heal. With a partial gastrectomy a portion of the stomach is removed. The area that is removed usually contains the ulcer, and bleeding sores, and most present inflammation. Along with prescription medications and other types of peptic ulcer treatments individuals can also undertake self-treatment at home. Many sufferers find relief form bothersome symptoms by changing their diet and eating habits. By eating smaller meals throughout the day and avoiding certain items like spicy foods, tea, coffee, and soft drinks, you can limit the pain associated with an ulcer and reduce the amount of acid that your stomach is forced to produce. Another self-treatment practice that improves the condition of a peptic ulcer is the avoidance of smoking and alcohol consumption. Smoking cigarettes and drinking alcohol can lead to increase in stomach acid production, which in turn can worsen the condition of an ulcer. Finally, many sufferers find that their ulcer symptoms worsen during periods of high stress. By exercising at least thirty minutes each day, finding time for meditation or relaxation, and avoiding stressful situations you can decrease the severity of your ulcer symptoms. @ab - as specified in the article when treated effectively most ulcers can be cured with four weeks. Diet also plays a very important part in minimising the effects of an ulcer. Apart from the remedies for ulcer, can't it get treated for life.